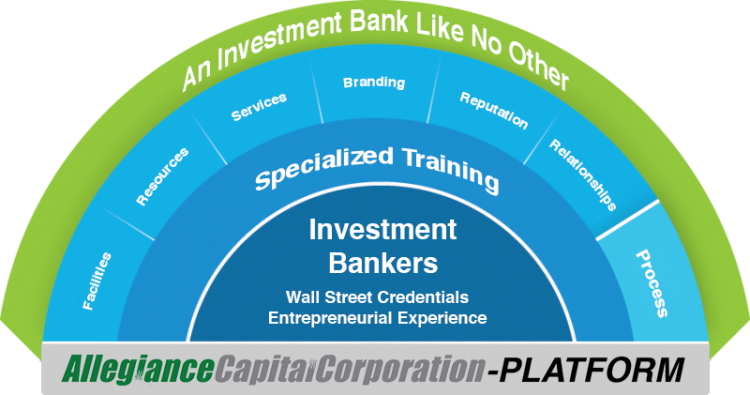 No boutique investment bank has greater national or global reach than Allegiance Capital. Our competitors are thin on manpower and marketing expertise, and the bulge bracket firms are simply indifferent to businesses and business owners in the lower middle market. Unlike our competitors, Allegiance Capital has the talent, the resources, and the capabilities that a bulge bracket firm (i.e. Goldman Sachs, JP Morgan, and Morgan Stanley) has. 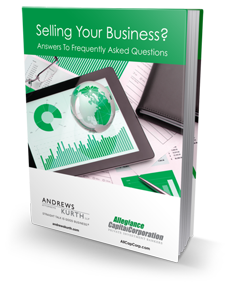 The key differentiator is that we have sat in your chair, have hired bankers ourselves, and know what it takes to run a successful sales process. Allegiance’s investment bankers bring Wall Street financial acumen and Main Street entrepreneurial experience to every transaction. Our bankers have collectively closed over $20 billion in transactions. Allegiance professionals continually sharpen their skills which sets us apart from the competition. Our training includes: complex negotiation, effective marketing techniques, and neuroscience-based sales training. Our Class A facilities creates an environment promoting collaboration. Some of the brightest minds are housed here, and the collaboration between these individuals is one of our keys to success. Allegiance uses proprietary and third-party databases that are seamlessly integrated with our tailored, world-class enterprise data management system run by our dedicated cloud services team. The public image of a company, before and after the sale is important. Strategic marketing and public relations prior to the sale provides investor recognition and enhances the perceived value of a company. As an award-winning firm, Allegiance has built a reputation of success. We have been in business for over 20 years and are a widely recognized firm in the middle-market M&A community. Our extensive relationships with financial and strategic buyers, international investors, lenders, and specialized advisory firms allow us to source unique opportunities not available to the competition. Our dedicated execution team provides constant guidance and execution throughout the process to maximize value for the shareholders while minimizing business disruption and use of management resources.